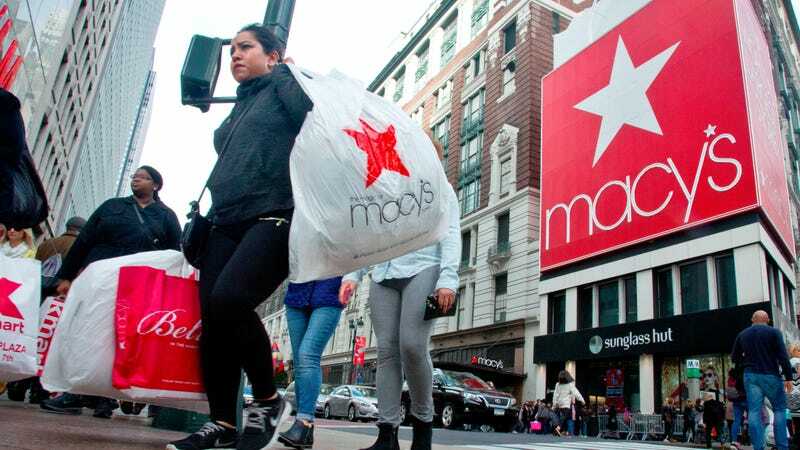 Macy’s has cut a deal with the union representing employees at four of its big New York City-area stores, including the almighty Herald Square flagship, thereby dodging their first strike since 1972. That’s according to the New York Times, which reports that two big bones of contention were health insurance and the finer points of sales commission. Retail, Wholesale and Department Store Union president Stuart Appelbaum told the Times that three-quarters of employees couldn’t afford the insurance premiums offered. The union also took issue with the fact that employees’ commissions take a hit if a customer returns an item within six months. The contract’s details aren’t public yet; union members now have to ratify it. Traditional department stores have struggled more than the rest of the retail industry to recover from the 2008 financial collapse. Macy’s, Nordstrom, Kohl’s and J. C. Penney all reported weak sales last quarter. Department stores as a whole employed 1.3 million workers as of May, the smallest number in a decade and 10 percent fewer than in 2009, according to the Bureau of Labor Statistics. Discount department stores like T. J. Maxx, Marshalls and Ross, on the other hand, have been thriving.